A M A Dance, Etc. AMA Dance Etc. 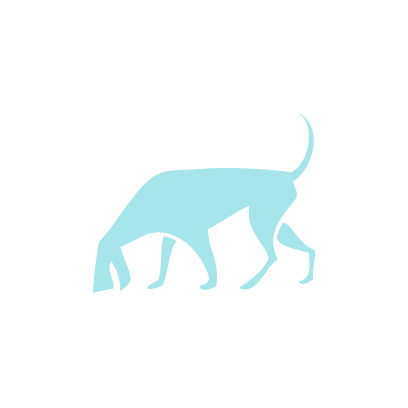 was founded July 7, 1995 by Muriel Jones. AMA specializes in praise dance, musicals, pageants, auxiliary competitions, conferences, and more. The Alvin Community College District, a two-year public community college, was approved by the qualified voters of the Alvin Independent School District on November 2, 1948. From its inception until 1971, the College was administered by officials of the Alvin Independent School District. The 1971-72 academic year marked the beginning of a new era in the history of Alvin Community College. A separate administration, tax district, and College Board were established to assume the management, control, and operation of a newly created Alvin Junior College District. Initially, when the College and public schools were in the same system, the College was part of Alvin High School. The first classes began on September 12, 1949, in facilities which grouped grades 11 through 14 in one building and which placed Alvin under a system known as the 6-4-4 plan. One of the more important changes at Alvin Community College was the building of a separate facility for academic work at the college level and dropping of the 6-4-4 plan in favor of a 6-3-3-2 arrangement. The college program was strengthened by additional facilities, by an enlarged faculty, and by successfully meeting the standards of the Southern Association of Colleges and Secondary Schools (1959). Alvin Community College moved to its present campus in the summer of 1963. By a vote of both the original district and voters of adjoining territories, the college district was enlarged to nearly twice its geographical size in 1974. Then, in the spring of 1975, an $8 million bond issue was approved, providing funds for the facilities necessary to meet an expanding enrollment. Several new buildings were added to the growing campus. In 1998 the College expanded into its service area with the establishment of the Pearland College Center in Pearland. The enrollment of Alvin Community College has grown from 134 students in 1949 to over 4,000 students today. About the Art League Art League Houston is one of Houston’s longest operating non-profit visual arts organizations and was the first alternative art space in Texas. Founded in 1948 and incorporated as a non-profit organization in 1953, Art League Houston (ALH) was created to promote the public appreciation of and interest in the visual arts. During the past 65 years, ALH has provided over 900 exhibitions to the Houston community, showcased the work of nearly 22,500 artists, and instructed over 36,000 students through the Art League School and outreach programs. The mission of Art League Houston is to cultivate awareness, appreciation, and accessibility of contemporary visual art within the community for its cultural enrichment. 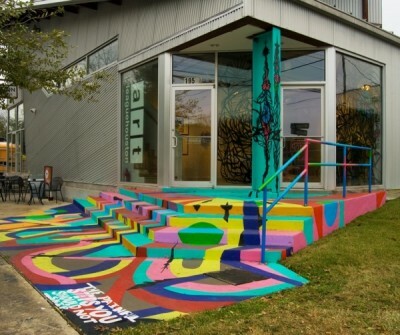 Art League Houston provides an opportunity for all members of the community to experience the contemporary visual arts. We achieve our mission through exhibitions, education, and outreach programs. About the Art League School Over the last 45 years, the Art League School has provided Houston-area residents with a venue for both the novice and professional artists to develop technical skills and further their artistic exploration. Led by dedicated faculty and experienced artists, classes are held throughout the week and have limited enrollment to ensure that each student has ample opportunity for questions and discussion. Classes include: drawing, mixed media, jewelry, watercolor, artist development, puppetry, sculpture, and ceramics. 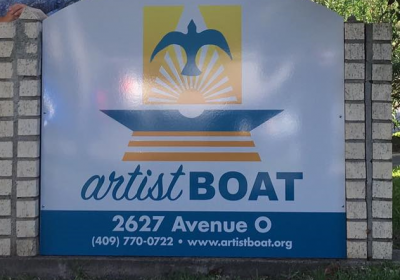 Artist Boat is dedicated to promoting awareness and preservation of coastal margins and the marine environment through the disciplines of the sciences and the arts. To fulfill this mission, Artist Boat promotes collaborations between marine scientists and artists in order to develop the environmental literacy needed for individuals to act as vessels of knowledge, carrying within themselves the skills and talents to: 1) Promote the preservation of fragile ecosystems through environmental education and the arts 2) Utilize the traditional tools of the sciences and the arts in coastal margins and the marine environment to bring people to places of awareness and reflection while visiting these habitats 3) Reflect the immense beauty, wonder, and diversity of life contained in coastal margins and the marine environment back to their communities This mission is manifested through art and science residencies in communities, the use of vessels and interactions with coastal peoples, hands-on experiences for participants, public art collaborations, symposia and workshops, and partnerships designed to promote creative projects. UH Law Center boasts a number of programs that span the panoply of legal issues- health law, intellectual property & information law, consumer law, energy & environmental law, criminal justice. Two of our institutes, which oversee the UH Law Center programs, are considered among the best in the country: Health Law & Policy Institute and Intellectual Property & Information Law. The Bay Area Theatre and Voice Academy was founded to ensure that all children are able to receive quality music and theatre education to develop the crucial skills that will ensure success in their future endeavors. Among such skills are leadership, self confidence, and a true sense of accomplishment. In addition, students learn about themselves and grow as individuals, as well as an actor and musician through our extensive curriculum and production schedules.Unlike other Academies, we focus on giving our students the voice to lead and achieve. Our services are tailored for the family who recognizes the importance of the arts in their child’s life not only for the music and theatre sake, but also for the important skills students involved in the arts acquire while studying. Monart is more than a method that teaches people how to draw. Leading educators recognize Monart as a teaching system that helps students to focus and concentrate, make decisions, solve problems, sequence and develop hand-eye coordination. In a peaceful environment students learn that drawing is a teachable subject in which anyone can be successful.Just as we are taught how to combine basic phonetic rules to read, musical notes to play an instrument, and dance steps to dance, the Monart Method teaches the individual to draw using the five basic Elements of Shape. Once students recognize these elements, they are guided as to how they might combine them on paper so that their drawings represent what they see. Each week students work with our highly qualified, supportive instructors on projects designed to teach the Elements of Shape and to create a unique and fully-developed composition. At Monart we explore a wide range of subject matter, media, and artistic techniques so that students may continually develop their skills at their own pace. Discover the Monart Difference What sets Monart apart from other art education programs is that our classes seamlessly integrate relevant, age-appropriate academic curriculum in inviting and interesting ways. Our Progressive Curriculum includes academic subject matter such as reading, math, science, social studies and geography. Students not only learn to draw , for example, a toucan, but they also learn about its features, habitat, and feeding habits. At Monart every student receives a well-designed art lesson, individualized attention, academic information of interest. Berry Miller Junior High School, opened in 2008, is part of the Pearland Independent School District. Brazoswood High School opened in September 1969, to serve the communities of Clute, Lake Jackson, and Richwood in the Brazosport Independent School District (BISD). The faculty consists of 182 professional staff members, with an average of seventeen years of teaching experience. Twenty one percent of our teachers have Master’s Degrees. The facilities are situated on a 100-acre campus in the Brazosport area located approximately 50 miles south of Houston on the Gulf Coast. Brookwood is a God-centered educational, residential, and entrepreneurial community for adults with functional disabilities located in Brookshire, Texas, just west of Houston.Our first resident enrolled in 1985. Today, more than one-hundred citizens live in homes on our 475-acre campus, work in one or more of several on-site enterprises, exercise and play in the indoor swimming pool and gymnasium, celebrate the presence of God in our inter-faith worship center, and when necessary receive care in our clinic.We also serve citizens from the Houston metropolitan area who participate in our day program.Brookwood is organized into three distinct areas. 1. The Village Center, is made up of a residential Inn, Continuing Care and Health Center, The Mabee-Cain Handcrafts Production Center, The Donald W. Reynolds Activities Center, and the Brookwood Worship Center. 2. The residential section, is composed of seven large group homes and two staff homes on a quiet, curved lane. 3. The last area is an enterprise zone of 39 commercial greenhouses, horticultural offices, a concrete manufactory, one of Brookwoodâ€™s three retail centers and the Brookwood Cafe. 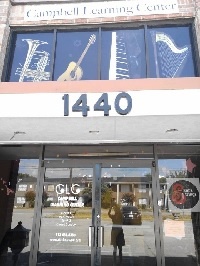 Campbell Learning Center is a non-profit organization specializing in providing quality Fine Arts programs to students of all ages in the Houston area. We have three primary divisions: Culture Immersion, Music Education and Special Needs. Cedar Bayou Junior School was built in 1928, with renovations made to update the building in 1934, 1949, 1951, 1957, 1973, 1983, and 1993. Our current structure was added to the existing Garza building and completed for the 2002-2003 school year. It is a colorful, spacious building with gymnasiums and a state-of-the-art auditorium. Our colors are blue and gold, and our mascot is the bear. Cinco Ranch High School is a public high school located in unincorporated Fort Bend County, Texas, United States that serves grades 9 through 12 as part of the Katy Independent School District. It is located off Cinco Ranch Boulevard within the community of Cinco Ranch. The school opened in 1999.Cinco Ranch High school was ranked 985th by Newsweek magazine on its list of the top high schools in the United States in 2008. The school has also been rated the 3rd best high school in 2007 tied with Clements High School in the Houston region by the Houston Chronicle.The school was named a National Blue Ribbon School in 2008. Part of the Clear Creek Independent School District in Webster, Texas. Grades 7 through 12. College of the Mainland was a beckoning vision in the minds of community leaders as far back as the early 1960s. The first concrete step was taken in October, 1966, when the College of the Mainland Junior College District was formed. The area of the College District encompasses 237 square miles and its boundaries are coterminous with the five independent school districts of Dickinson, Hitchcock, LaMarque, Santa Fe and Texas City. The second step toward realization of the "impossible dream" was taken on December 10, 1966, when the voters of the College District approved a bond issues of $2,850,000 and supporting taxes for debt service and operation. In quick succession, the Board of Trustees selected a president, hired faculty members and staff, located temporary facilities and College of the Mainland came into existence. The first class of 414 students enrolled for classes in September 1967. Students attended classes in temporary quarters until the first phase of construction was completed on 120 acres bounded by Palmer Highway and Amburn Road in Texas City. On February 27, 1970, the college moved to its beautiful new campus which consisted of an Administration Building, Learning Resources Center, Math-Science Building, Technical- Vocational Building and a Central Utilities Building. On May 16, 1970, the citizens of the Junior College District approved a second bond issue of $4,750,000 and supporting taxes for operation and debt service of the second phase of construction. The second building program included a Fine Arts Building, a Physical Education Complex, a Student Center, an increase of 100 percent in the Technical-Vocational facilities and 60 percent expansion of the Math-Science facilities. The second construction phase was completed in September of 1972, followed by a print shop building and a firing range. A 20,000 foot addition to the Technical-Vocational Building was completed in the Fall of 1985. The expansion houses computer labs, classrooms, offices and a Child Development Lab designed as a training ground for students enrolled in the Child Development Program. In 1991, two Industrial Education Buildings were completed to house the Auto Mechanics Technology and Diesel Mechanics Technology Programs. The well-equipped facilities added 25,335 square feet of building space to the campus, for a grand total of 300,745 square feet. In 1999, a new 10,800 square foot Public Service Careers Building was opened across the esplanade from the Fine Arts Building. The new facility houses faculty offices, classrooms and labs for three major public service career fields – law enforcement, emergency medical services, pharmacy technician and fire protection. The College of the Mainland Art Gallery serves as a resource for the study of art, art history, and the presentation of contemporary standards of quality. Professional artists shown at the Gallery have been accredited and recognized by the art community. The Museum of Fine Arts, Houston has included the Gallery at COM in their list of recommended venues for the presentation of fine art. Our Gallery is committed to making contemporary artwork accessible and educational to all those interested. Concurrent with our mission statement, exhibits are created and coordinated with speakers and other events that promote our rich diversity, ethnicity, and socio-economic backgrounds. Students have the opportunity to interact with those that have achieved professional success, while learning the skills necessary to compete in the workplace. 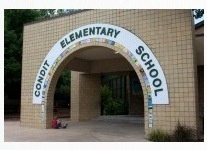 Condit Elementary School — originally built in 1909 — moved to its current facility in Bellaire in 1914, with an addition built in 1927. The PK-5 campus, which enrolls about 650 students, is a Vanguard neighborhood school. Conroe High School is a secondary school in Conroe, Texas and is also the flagship campus of Conroe ISD. The school is a part of the Conroe Independent School District and serves the CISD portion of the city of Conroe.As of 2007, there were 2,973 enrolled students. The school’s mascot is the Tiger. The school colors are Gold and White. The school’s motto is “Pride and Unity.” The campus was initially built in 1961 and was named for the community it serves. In 2006, a huge renovation and addition construction project was began, adding a new wing to the main building, but also another building adjacent to the Rotunda on the western part of campus.Also found at Conroe High School is the Academy for Science and Health Professions. In this magnet program, Academy students graduate from Conroe High School. Elementary School in the Houston Independent School District. The wonderful world of the performing arts can offer a plethora of opportunity for people of all ages to artistically express themselves through many different disciplines. Training in the performing arts can elevate one’s ability to live a more creative, confident, healthy, and productive life through artistic expression.In our performing arts program we offer one of the most authentic theatrical and dance experiences available to children. With our professional staff and exceptional facility the success of our program continues to reach new heights.Each class offers a variety of lessons and activities that have been skillfully created to cater to all ages and ability levels. Auditorium of Cypress Ranch High School. Cypress Ridge High School is part of the Cypress-Fairbanks Independent School District. 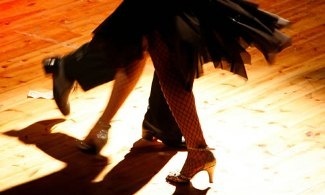 Dance World, USA offers all forms of social and competition style dance instruction in: – Ballroom: Waltz, Fox Trot, Swing, Cha Cha, Viennese Waltz, Disco Hustle, Polka, Jive, Jitter-bug – Latin: Tango, Salsa, Merengue, Rumba, Mambo, Samba, Bolero, Cumbia – Country & Western: Two-Step, Tejano Styles Whether you are needing to prepare for social dancing on that Caribbean cruise, or that "First Dance" for your up coming wedding, or needing a crash course to impress that special someone for a night out dancing, Dance World, USA can have you moving with more ease and comfort in just a few simple lessons. Call us today, you could be dancing by the weekend!